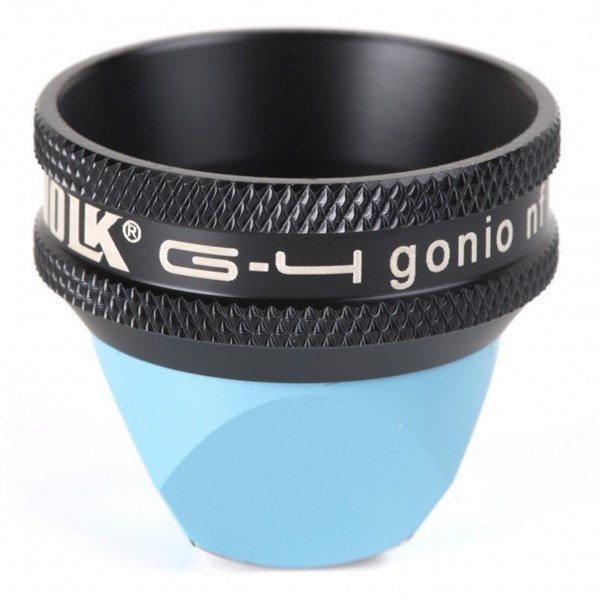 Standard Gonio Lens for Static and Dynamic Gonioscopy. 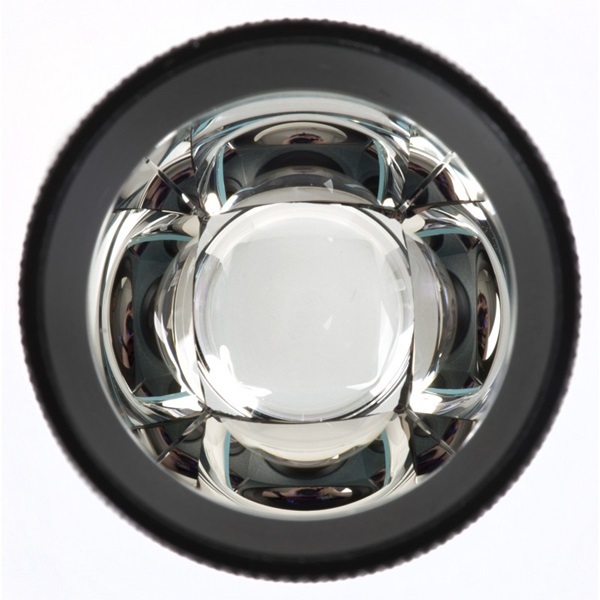 Lens has no flange with a large ring. 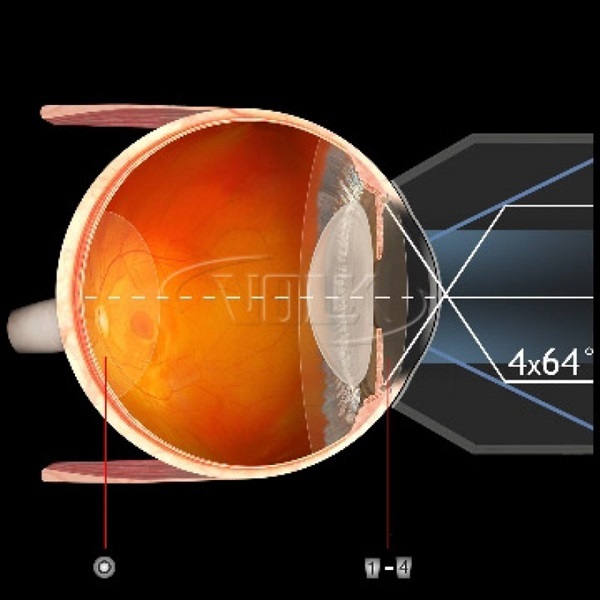 Lens is G-4 with a field of view of 4x64 degrees, an image magnification of 1.0x, a laser spot of 1.0x and a contact diameter of 8.4mm. Manufactured by Volk.